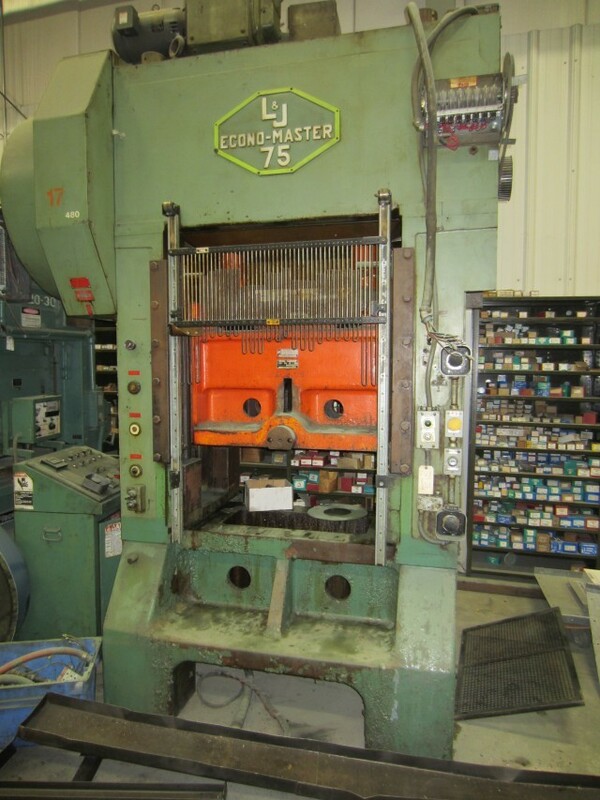 75 TON – L & J 75TON GEARED SSDC PRESS MODEL ECONOMASTER SERIAL # EM 750105A	[STOCK #750] – StampTech Inc. Founded in 1986, StampTech Inc. is a leader in all phases of the metal stamping industry. Our 25,000 square foot facility has full machine shop capabilities — offering a large selection of used, rebuilt and new power presses and accessories. We can upgrade older equipment, rebuild it to the latest machine tool standards, add new OSHA compliant controls — and run, test and inspect it before shipping. For additional information, including pricing and delivery please call 860-628-9090. If you are outside CT call 1-800-367-8481. Tony Amato, President, StampTech Inc.